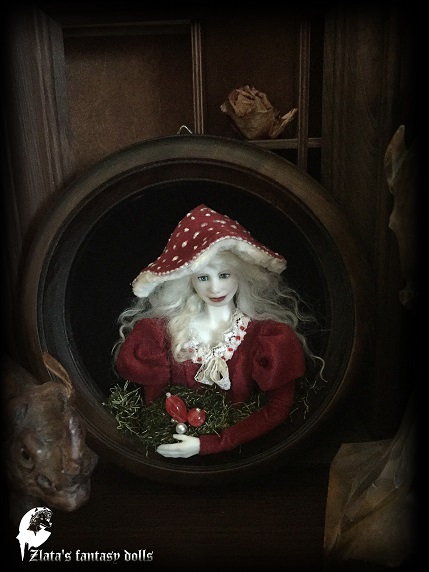 Gnomes Mushrooms is a One-Of-A-Kind collectible Interior dolls. Mushroom Old is 4.7 inch (12 cm) tall. 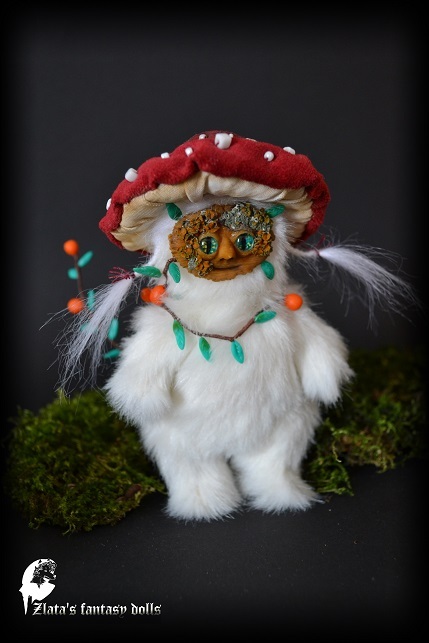 Mushroom Man is 6.3 inch (16 cm) tall. 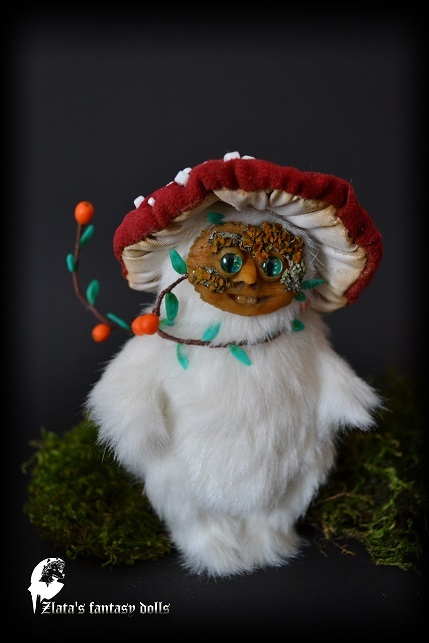 Mushroom Boy is 5.7 inch (14,5 cm) tall. Gnomes are made of wire, hardened clay and fabric. Decorated with moss and painted with acrylics.